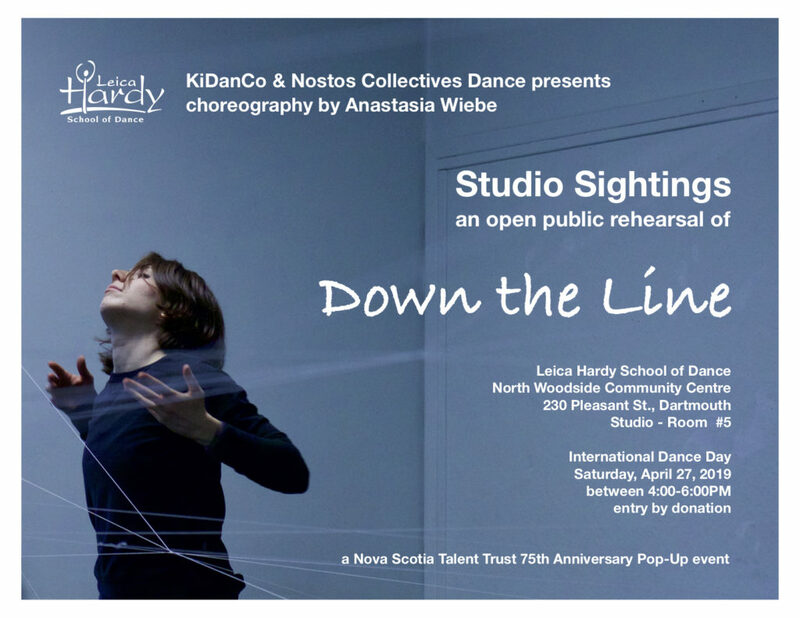 KiDanCo, the resident pre-professional company for emerging dance artists at the Leica Hardy School of Dance will present their 7th annual Spring Season of contemporary dance repertoire at DANSpace-On-Grafton, 1531 Grafton Street (Halifax) on Saturday and Sunday, May 12 and 13 at 7:30PM, with a matinee on May 13 at 2:30PM. Tickets are $23 for adults, $16 for students (12+) and seniors (65+), and $11 for children. 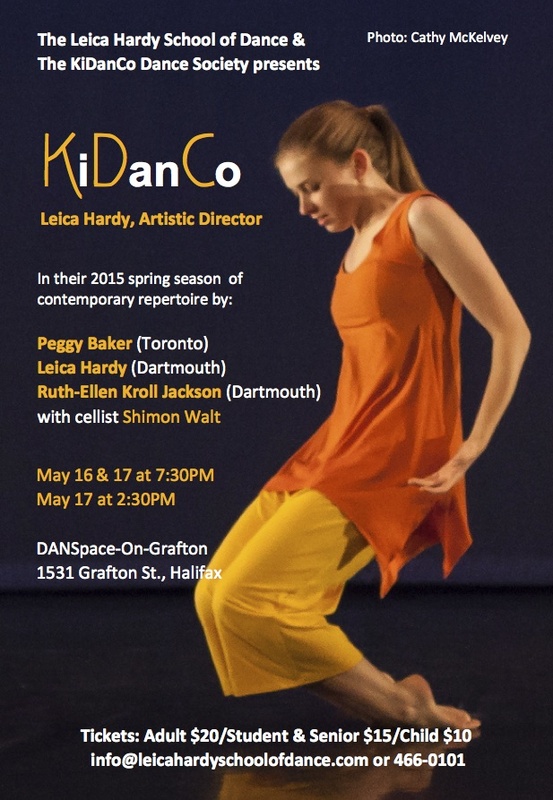 To reserve or purchase, please contact info@leicahardyschoolofdance.com or phone 466-0101. Tickets at the door are cash only. The company is honoured to present the works of Kendra Armstrong, Ruth-Ellen Kroll Jackson, Darryl Tracy, Anastasia Wiebe and Artistic Director, Leica Hardy in this engaging program of original works. The company’s twelve pre-professional dancers will perform a diverse collection of pieces from the classically balletic, to jazz, and contemporary work with elements of urban dance and improvisation. For more information about the company go to the KiDanCo Performance Season page of the website. 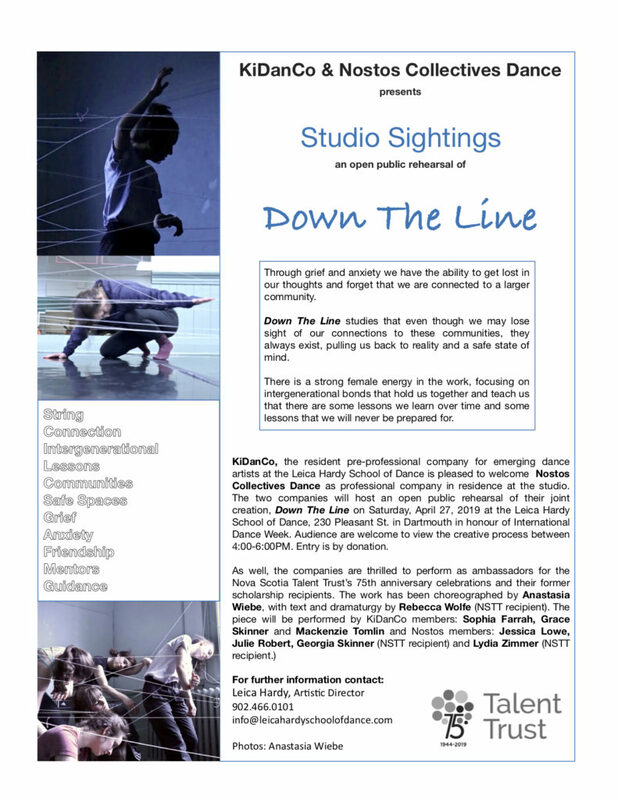 I was thrilled to receive the School of Toronto Dance Theatre’s newsletter in my inbox last week. The newsletter contained a feature about LHSD alumna, Lucie Schmidt. 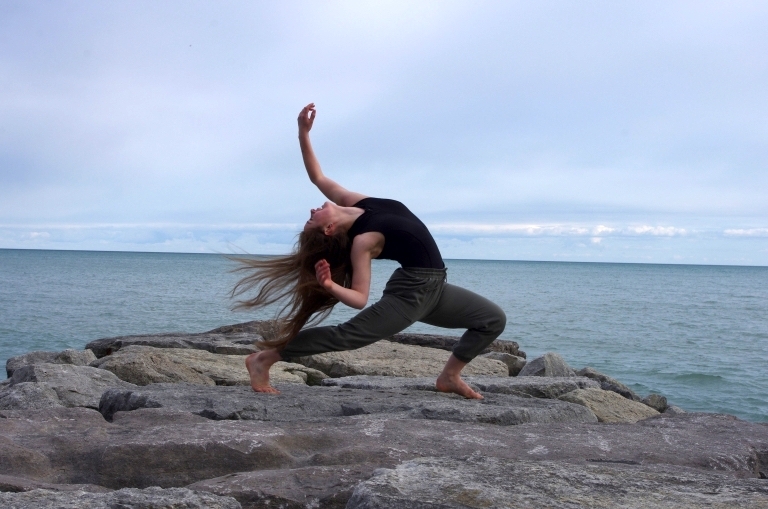 Lucie graduated from LHSD in 2016 and that summer departed for Toronto to enter the Professional Training Program at the School of Toronto Dance Theatre, where she is currently in her second year. During her time at our school Lucie went from a shy little thing to a commanding and confident performer. She was a generous and faithful teaching assistant in her final years. Always hard-working and humble, she was a shining example for all the younger students. I hope you will take the time to read the full article and share it with those who know Lucie and are following her progress. Hannah Mae Cruddas as ‘Clara’. Photo by Cathy McKelvey, courtesy of Symphony Nova Scotia. 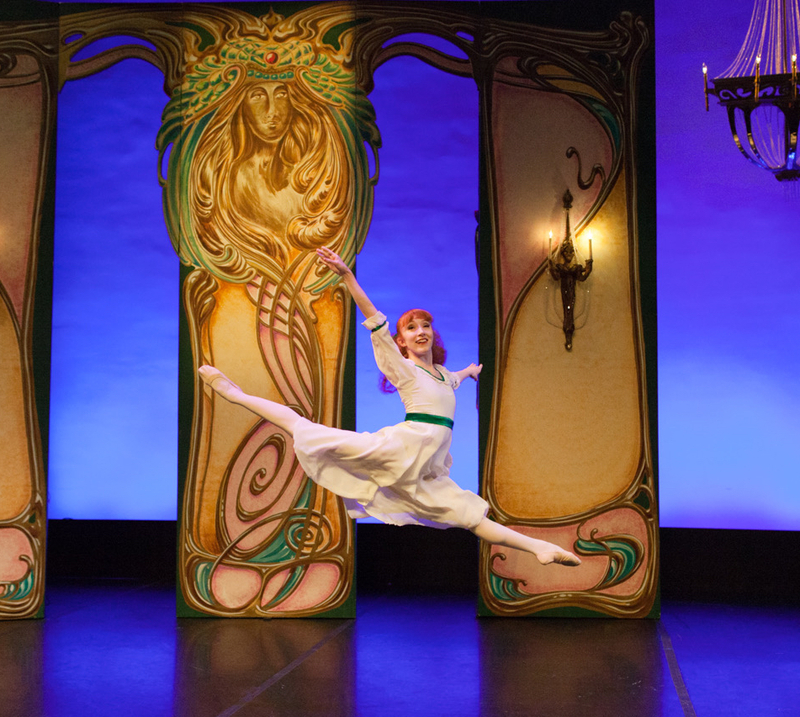 The Nutcracker, choreographed and directed by Leica Hardy returns for a 27th season. LHSD alumna, Hannah Mae Cruddas will appear in the principal role of Clara for her fourth season, courtesy of Canada’s Ballet Jörgen. We are also proud of our fourteen students who will also perform to the glorious music of Tchaikovsky performed by Symphony Nova Scotia. To purchase tickets for one of Halifax’s favourite holiday traditions visit Symphony Nova Scotia. Rebecca Wolfe as The Mouse Queen. 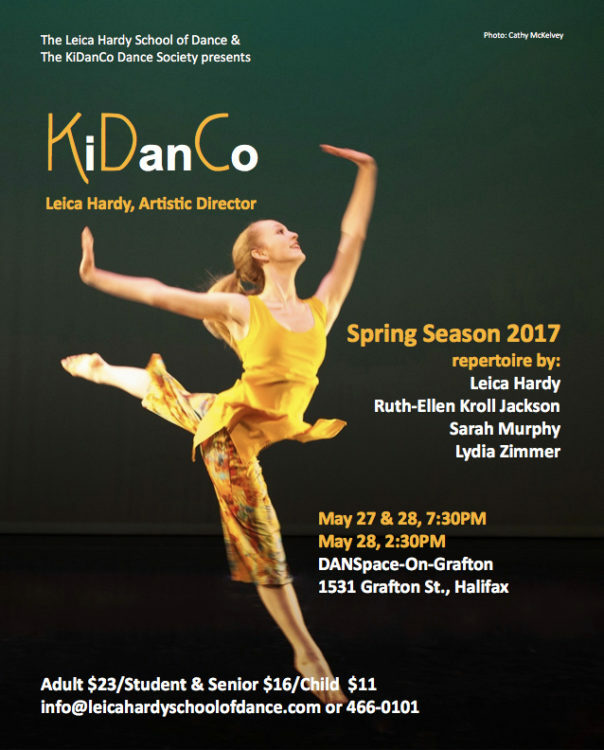 KiDanCo, the resident pre-professional company for emerging dance artists at the Leica Hardy School of Dance will present their 6th annual Spring Season of contemporary dance repertoire at DANSpace-On-Grafton, 1531 Grafton Street (Halifax) on Saturday and Sunday, May 27 and 28 at 7:30PM, with a matinee on May 28 at 2:30PM. Tickets are $23 for adults, $16 for students (12+) and seniors (65+), and $11 for children. 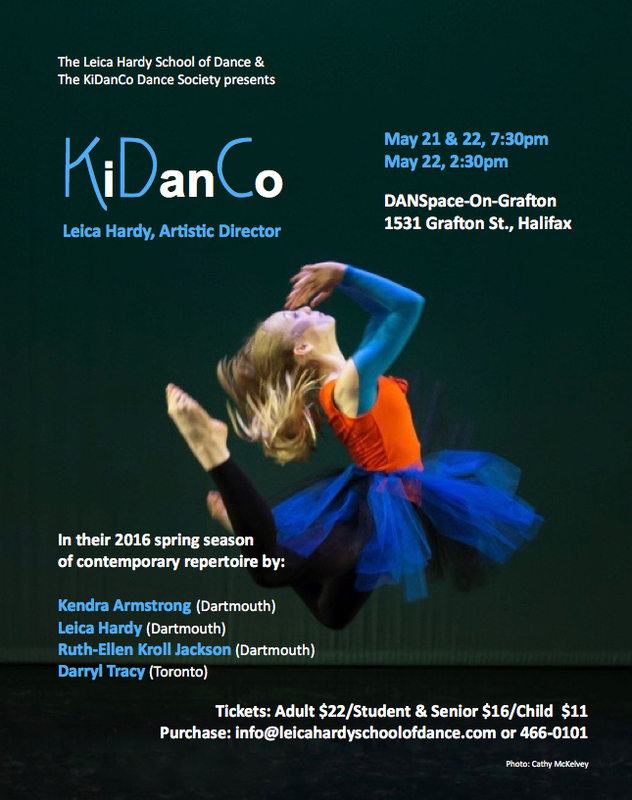 To reserve or purchase, please contact info@leicahardyschoolofdance.com or phone 466-0101. Tickets at the door are cash only. The company is honoured to present the works of Ruth-Ellen Kroll Jackson, Sarah Murphy, Lydia Zimmer and Artistic Director, Leica Hardy in this dynamic program of original works. This season many of the works embrace innovative trends in choreography and creative processes by incorporating improvisation in their creative development, and in performance. 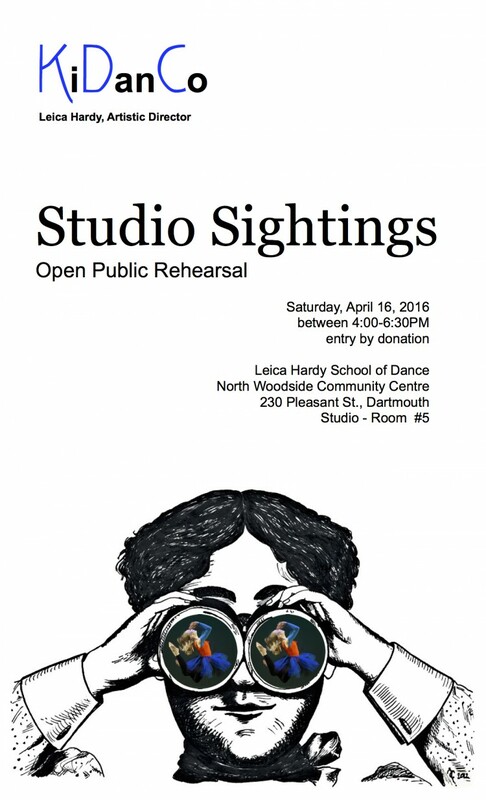 KiDanCo invites you to Studio Sightings, Open Public Rehearsal on April 29, 2017. Studio Sightings is an annual event held in celebration of International Dance Day. Company members will rehearse the works of Ruth-Ellen Kroll Jackson, Sarah Murphy, Lydia Zimmer and Artistic Director Leica Hardy. Audience is invited to attend for any duration between 4:00-6:30 p.m. Entry by donation. 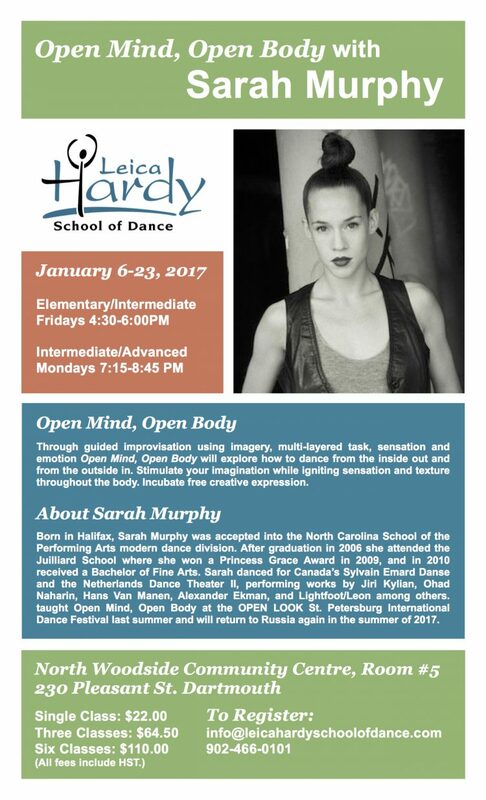 The Leica Hardy School of Dance welcomes Sarah Murphy to the studio during the mont of January. 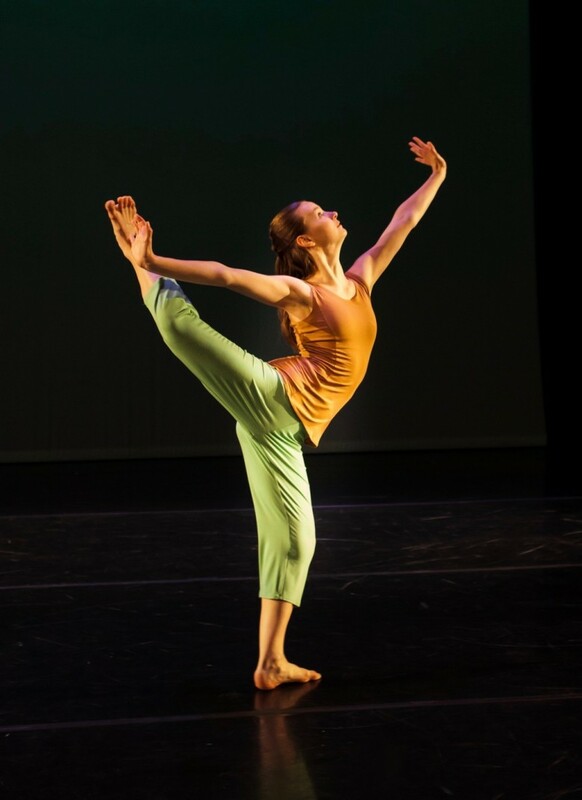 Sarah will be teaching Open Mind, Open Body master classes for Modern D and Modern E students on Mondays & Fridays from January 6-23 as well as creating a full-company work for KiDanCo for their 2017 Spring Season in May. LHSD students who are currently registered in Modern D or E and who wish to attend the additional classes may do so at a 15% discount. Public rates for single classes and a three-class pass are at the bottom of the flyer below. To register for the additional classes contact the office. 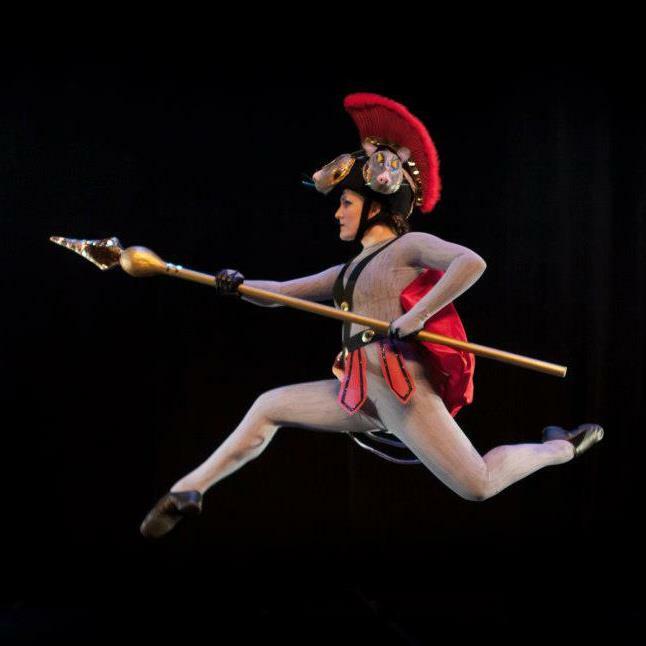 Experience The Nutcracker like never before! 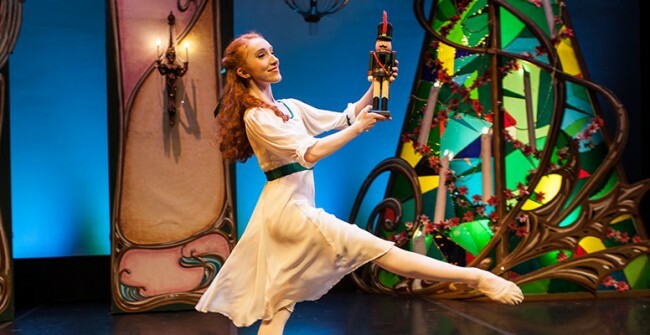 this free, interactive family book launch event includes lively excerpts from Symphony Nova Scotia’s The Nutcracker, featuring dancers from the cast and the loveable puppets of Mermaid Theatre. A cast member will read excerpts from Clara’s Gifts by Leica hardy, Marianne Ward, and illustrator Emma van Zeumeren, which captures the unique story of the beloved stage production. Attendees of all ages can also try out some of the show’s choreography with a free dance lesson from its expert Artistic Director, Leica Hardy. Presented by Symphony Nova Scotia, Halifax Public Libraries, Leica Hardy School of Dance and Halifax Dance. 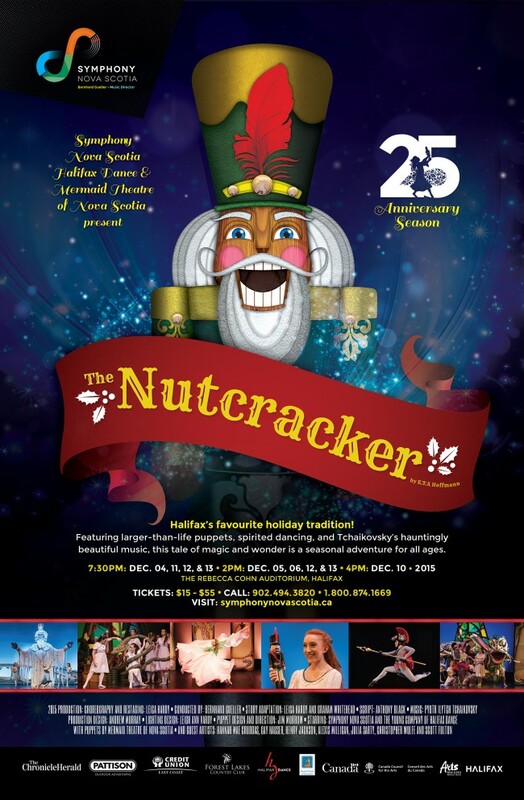 Halifax’s hit The Nutcracker runs from December 9-18, 2016 at the Rebecca Cohn Auditorium. Please help support KiDanCo, the pre-professional company for emerging dance artists at the Leica Hardy School of Dance on Saturday October 29, 2016 from 9:00 a.m. to 3:00 p.m. by participating in a Drive 4UR Community event at MacPhee Ford, 580 Portland Street, Dartmouth. For every completed test drive, Ford of Canada will donate $20 to the not-for-profit KiDanCo, which the company will put towards new choreography. Registration is limited and can be done by following the Drive 4UR Community link. Click the “Register Now”. We also have a Drive 4UR Community Facebook event page. Click “Tickets Available” and then “Register Now”. Please note that the registration website will only accept one drive per civic address. So feel free to register another family member with your work, cottage or other address. Clara’s Gifts: A retelling of the Nutcracker story is a gorgeously illustrated picture book that tells the unique Nutcracker story adapted for the stage by Leica Hardy and Graham Whitehead and presented annually since 1991 by Symphony Nova Scotia in partnership with Halifax Dance and Mermaid Theatre of Nova Scotia under the artistic leadership of choreographer Leica Hardy. 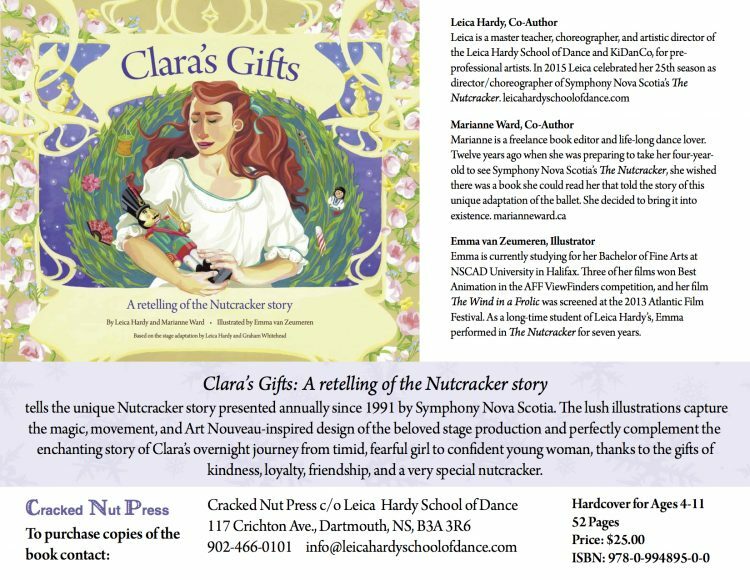 For more information and to pre-purchase the book see the Clara’s Gifts page of the website. A big congratulations for student Lucie Schmidt, who has been accepted to the Professional Training Program at the School of Toronto Dance Theatre for the fall of 2016. Lucie is currently an advanced student in the Pre-professional Training Program, a Student Teacher-in-Training and since 2011 has been a member of KiDanCo. 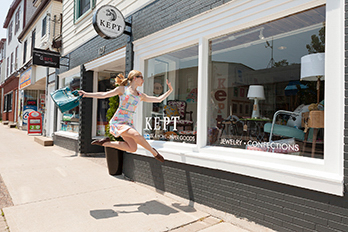 Her summer students include DANS Summer Dance (2012), The School of Toronto Dance Theatre’s Summer Intensive (2014 & 2015) and Peggy Baker Dance Projects August Intensive (2015). Performance credits include: Merry Musical Evening and World Wide Open; a musical journey with MITE for Families, as well as Symphony Nova Scotia’s The Nutcracker for four seasons appearing as a Dorm Girl, Shepherdess and principal Snow Maid. Don’t you often feel the need to be inspired and isn’t it gratifying to be the source of inspiration for someone? Don’t you feel great when someone cheers you on and doesn’t it feel satisfying to lend energy when it’s needed? Don’t you sometimes feel like you need a bit of help to understand and isn’t it gratifying to be the helping support for someone and share your expertise? In response to a unanimous “Yes!” from the KiDanCo company members we will be starting a Dance Buddies Mentorship Program at LHSD. All younger students are invited to be ‘paired’ with an older student at the school in a buddy system designed to support and inspire. We want to celebrate our accomplishments and hard work. We want to create leadership opportunities for the older students and dance mentoring for the younger. We will pair the younger students with an older dancer who can answer their questions, give them support and guide them through the world of dance. Everyone in the Dance Buddies Mentorship Program will be invited to view their buddy’s classes on class viewing days and exam preparation classes. If you are interested in participating in the program please send the office an email and we will pair you with an appropriate buddy. We invite you to be part of an inspired, integrated and enthusiastic dance family at LHSD! This December is a milestone for Artistic Director Leica Hardy as she celebrates her 25th year as the Director & Choreographer of The Nutcracker for Symphony Nova Scotia. It is also an exciting time for 16 of the school’s students who will be appearing in the production this year. They are: Holly Annand, Hayley Bone, Jackie Bone, Sophia Farrah, Ellery Jackson, Vivian Macnab, Elizabeth March, Maggie Oates- Johnson, Mollie Oates-Johnson, Isabel Sarty, Julia Sarty, Lucie Schmidt, Denver Scott, Kerri Sheehan, Hannah Smith and Mackenzie Tomlin. We are also excited and proud that LHSD alumna, Hannah Mae Cruddas will be appearing as Clara for the second year, courtesy of Ballet Jörgen Canada. As you know Hannah Mae has been a member of Ballet Jörgen Canada for the past four years, after attending the National Ballet School for grades 11 and 12. Hannah grew up through the ranks and roles of The Nutcracker before leaving for Toronto and is excited to return home to lead the cast again this year. Performances take place December 4-13, 2015 at the Rebecca Cohn Auditorium. To purchase tickets visit Symphony Nova Scotia. 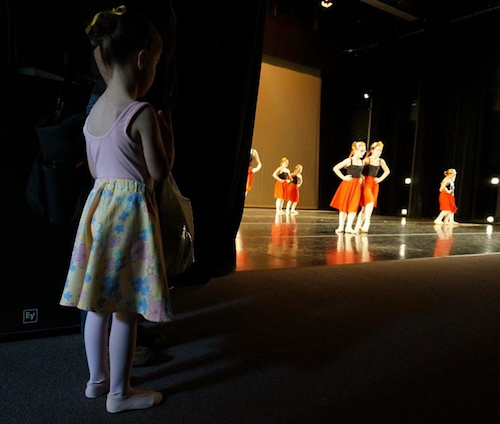 The Leica Hardy School of Dance will present their annual Student Showcase on Saturday, June 20th, 2015 at 2:30PM and 7:00PM at the Alderney Landing Theatre, Dartmouth. Tickets are Adult $15.50, Student/Senior $12.00 and Child (12 & under) $8.00, plus a $1.00 per ticket box office fee. To purchase contact the Alderney Landing Box Office at 902-461-8401. The students will celebrate their accomplishments performing the choreography of instructors Yukiko Asada, Hayley Bone, Michelle Lehman, Poppy Rouse and Artistic Director Leica Hardy. For further information contact the school at 466-0101 or info@leicahardyschoolofdance.com. 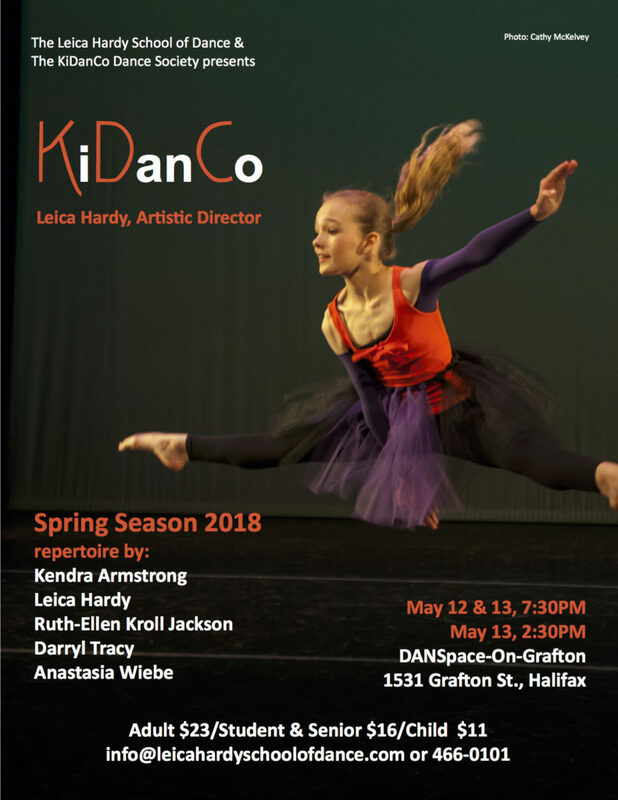 KiDanCo, the resident pre-professional company for emerging dance artists at the Leica Hardy School of Dance will present their annual spring season of contemporary dance repertoire at DANSpace-On-Grafton, 1531 Grafton Street (Halifax) on Saturday and Sunday, May 16 and 17 at 7:30PM, with a matineé on May 17 at 2:30PM. Tickets are $20 for adults, $15 for students (12+) and seniors (65+), and $10 for children. To purchase, please contact info@leicahardyschoolofdance.com or phone 466-0101. Payment may be made by cash, cheques to The KiDanCo Dance Society or E-transfer. Tickets at the door are cash only. The company is honoured to present the works of choreographers Peggy Baker, Ruth-Ellen Kroll Jackson and Artistic Director, Leica Hardy in this dynamic and inspirational season of joy, courage and reflection. The performance will also feature guest cellist, Shimon Walt, who will accompany the dancers in Bach Unaccompanied. This is a reprise of the highly successful collaboration between choreographer Leica Hardy and Mr. Walt that was performed to sold out audiences in the 2013 St. Cecilia Concert Series. We are also proud of student Mackenzie Tomlin who also performs as a local participant. 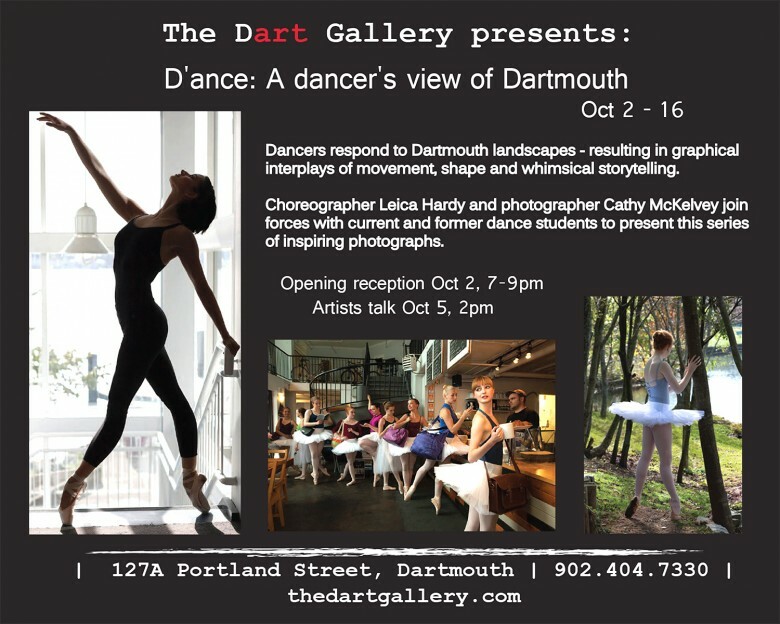 A Dancer’s View Of Dartmouth was the culmination of a two-year collaborative project with Dartmouth photographer Cathy McKelvey, Artistic Director Leica Hardy and a number of the schools’ current students and alumnae. The result was a collection of over 30 photos of dancers in iconic Dartmouth locations. The exhibit was displayed at the D’art Gallery from Oct. 2-16, 2014 as part of Halifax Regional Municipality’s biannual celebration of photography – Photopolis. For more information about our artistic process see the Hello Dartmouth article by Kate Watson. Photographs from the exhibit are now visible on www.cathymckelvey.com. Participating dancers were: Hayley Bone, Hannah Mae Cruddas, Emily Howes Vallis, Hilary Knee, Michelle Lehman, Vivian Macnab, Maggie Oates-Johnson, Mollie Oates Johnson, Lucie Schmidt, Hannah Smith, Ampai Thammachack, Emma Van Zeumeren, Anastasia Wiebe, Rebecca Wolfe, and guest Daniel Da Silva of Ballet Jörgen Canada. Five Sets of fine art note cards are now available for purchase at the D’art Gallery (Dartmouth), Artistic Sole (Tantallon), The ViewPoint Gallery (Halifax), through Cathy McKelvey and by contacting the school office. Select single cards are available at Duly Noted Stationery (Halifax). We are thrilled that the cards have been select to be part of the 2014 Buy Local Wishlist. Download the PDF of available Card Sets to see pricing.